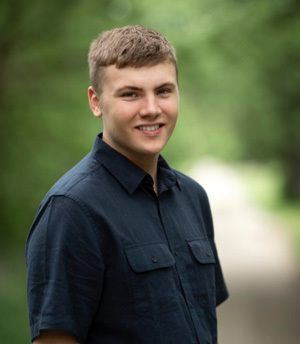 Fieldcrest High School Senior, Brayden Cunningham, has been chosen to participate in the 2019 Illinois Music Education Association Honors Choir. There is no greater high school music accomplishment than to be selected for this top performance group. Brayden will be singing with the best voices in the state. In addition, his chances of receiving a college music scholarship are very high since colleges heavily recruit All-State singers. Brayden and many other students auditioned at Bloomington High School in October, and students across the state were auditioning near their schools. Auditions consist of tonal memory, sight reading, and prepared selections -all without accompaniment and with special consideration for tone quality. Brayden has successfully auditioned for All-State for three years. As a Sophomore, Brayden was selected for the All-State Choir. As a Junior and now as a Senior, he has been selected to sing in the top choir -the Honors Choir. Illinois is divided into ten districts. Fieldcrest is in District 3. Brayden sings Bass 2 which is the low bass part. He had the highest score of all the Bass 2's who auditioned in District 3. What an accomplishment. Brayden was then selected to participate in the District Chorus at Olivet Nazarene University in Bourbonnais in November. His exceptionally high score gives him the opportunity to join other elite musicians and participate in the All-State Honors Music Festival which is held in Peoria January 24-26, 2019. Going to State in music is unique because the size of your high school is not taken into consideration as is the case in sports. All vocalists from the entire state are in competition with each other. Congratulations, Brayden, on a job well done. What a prestigious honor! Brayden is the son of Sean & Christine Cunningham of Minonk.